The economic hub of the eponymous island, Phuket Town attracted merchants from China, India, and Portugal long before it became a tourist destination. Take a tour of Phuket Town to discover history-laden streets flanked by buildings that combine Sino-Portuguese architecture with Mediterranean influences. A quieter alternative to Thailand's more crowded destinations, a vacation in Phuket Town allows you to explore centuries of architectural heritage at a leisurely pace, unhindered by throngs of tourists. 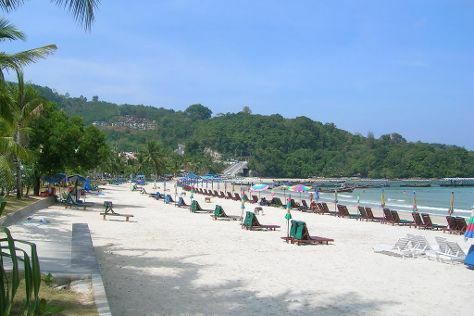 Its rich history doesn't stop Phuket from looking toward the future, and the good selection of modern attractions here includes a lively music scene and plenty of dining options. Phuket Town is in Phuket. To arrange what you want to do in Phuket Town, use our Thailand journey tool .